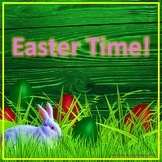 Sweet Easter Owl themed digital and analog clock cards make practicing time to the hour and half hour so much fun. Also includes" I Have, Who Has" game cards. Includes activity suggestions. Counting and 1:1 correspondence are important skills for number sense. 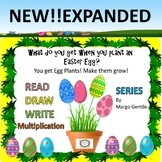 Use these Easter themed counting activities to practice and reinforce counting skills in your Special Education classroom.This Easter Time Counting Pack includes 5 different activities to practice counting 0-20 in your classroom. 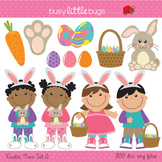 I have included various patterns and stationary to create a Bunny Writing Narrative piece. The set includes two organizers. One is to help develop a bunny character and other characters in the story. The second organizer is to help students organize a solid beginning, middle, and end to the story. 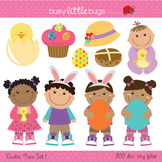 Meet common core standards for K-2 telling time with a cute Easter theme!! Students match digital and analog clocks for: -hour -half hour -quarter hour Includes EVERY time to the quarter hour! That's 48 clocks each of digital and analog! Also includes two time worksheets! 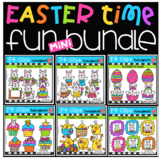 This Easter themed Time Sort is a great activity for whole or small groups, Guided Math, Math Centers and Math Stations. 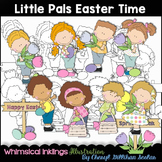 This is also bundled in my Easter unit at: Easter Literacy, Math and FUN Bundle 140+ pages Thank you for visiting my store!!! 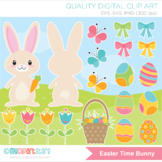 Easter theme time teaching for Kindergarten and 1st grade resource. This lesson reviews on the hour time. This set includes three extra practice pages for short vowel sounds. Great for independent practice, small group work, or whole group instruction. All five vowels are included on each worksheet. 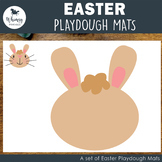 A beautiful pack of play ideas for the early years in the areas of English, Maths, Dramatic Play, Playdough, Construction, Sensory Play, Small Worlds, STEM, Craft and Art. 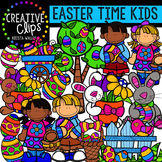 Includes 53 pages of beautiful printable resources ready to compliment the ideas. Save yourself hours of work.